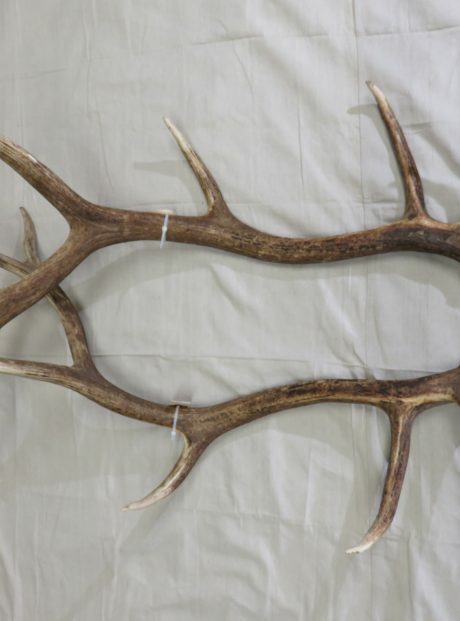 Here we have a nice set of large Elk antlers for sale. 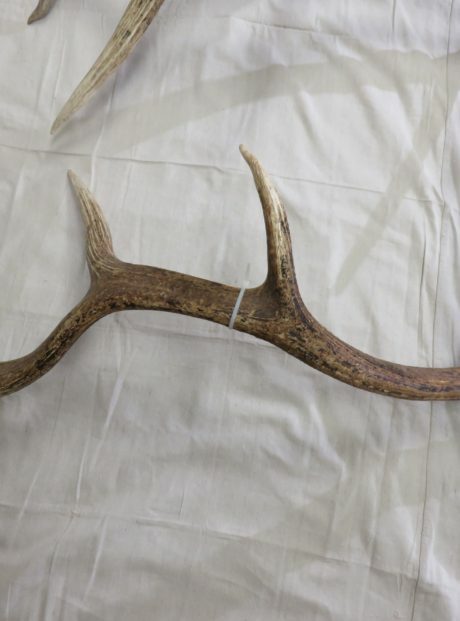 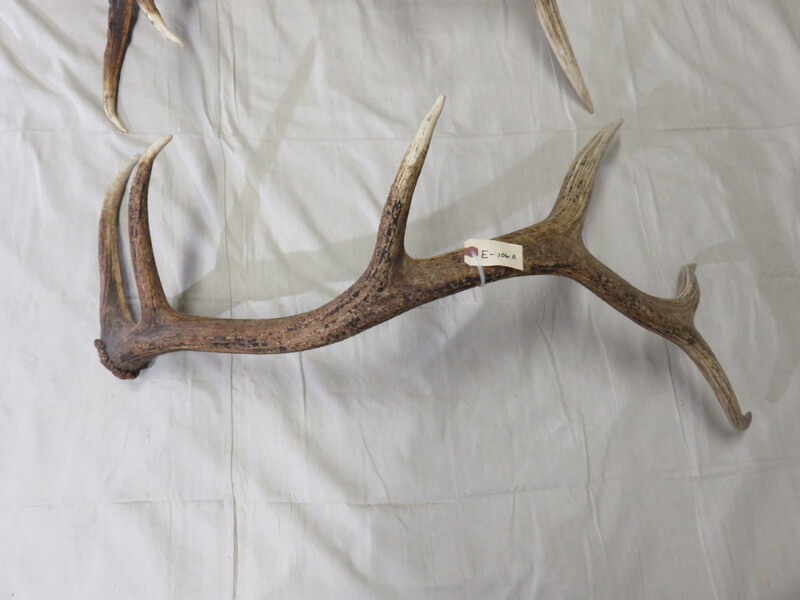 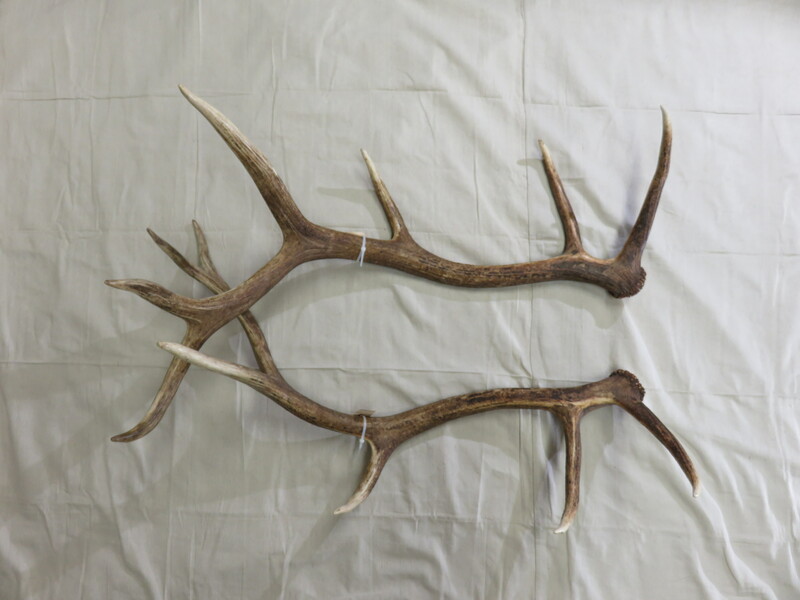 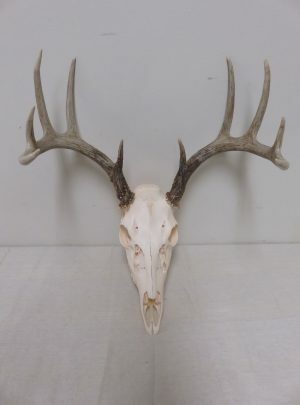 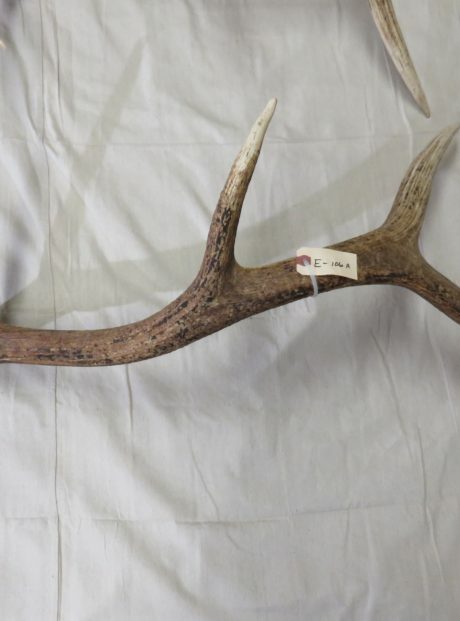 This set of sheds (naturally dropped antlers) is 6 x 6 and has very good mass and length. 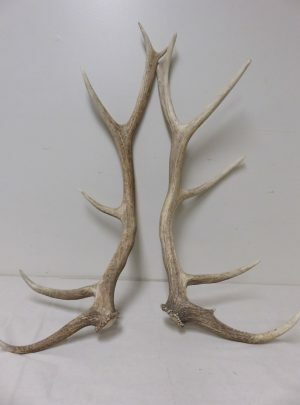 They are an older set of horns and coloring is not as bold as we would like to see. 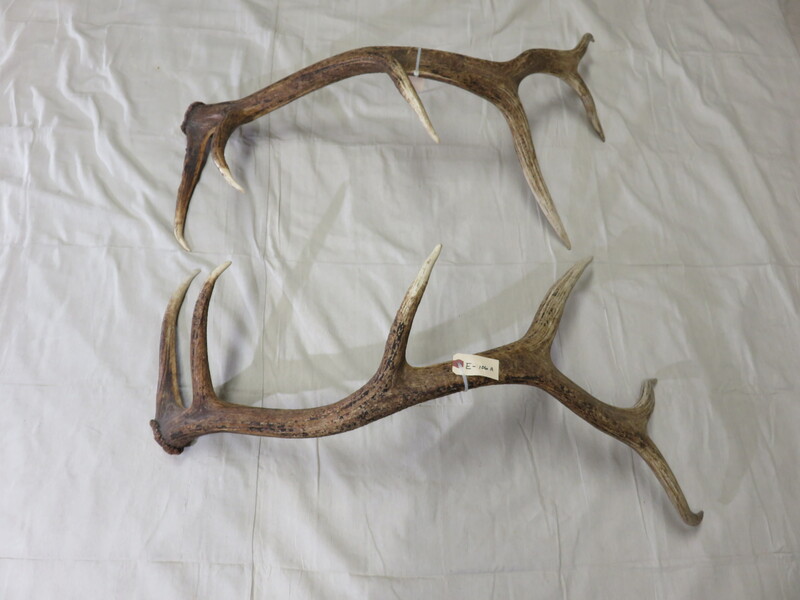 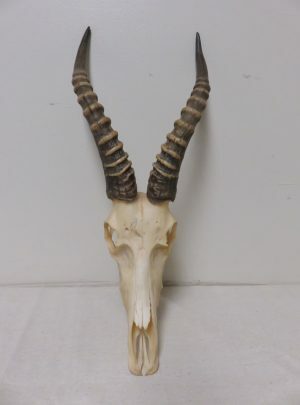 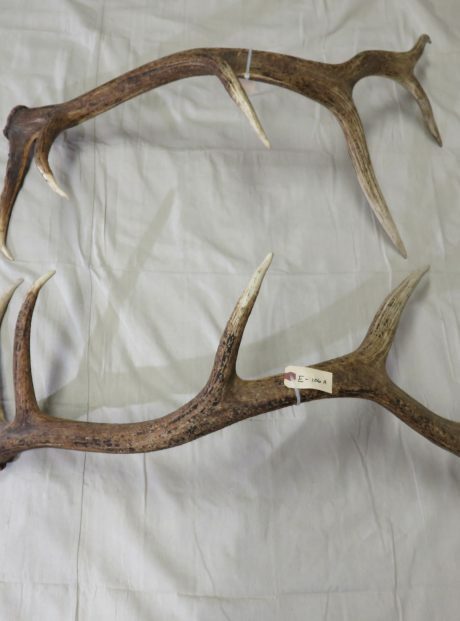 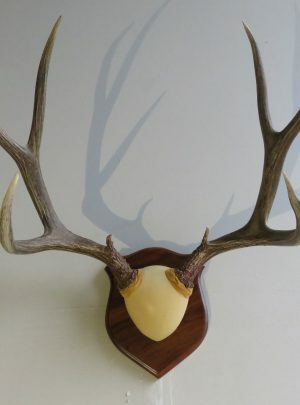 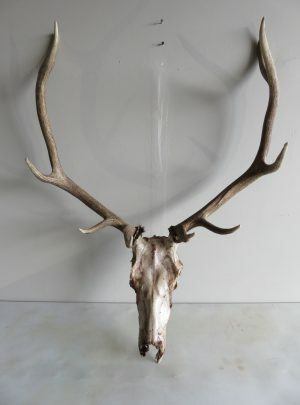 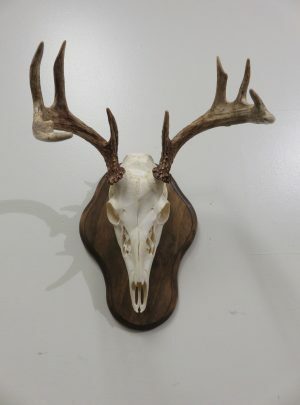 (Look at attached photos) These antlers come from the Northern Rocky mountains of Western Montana. 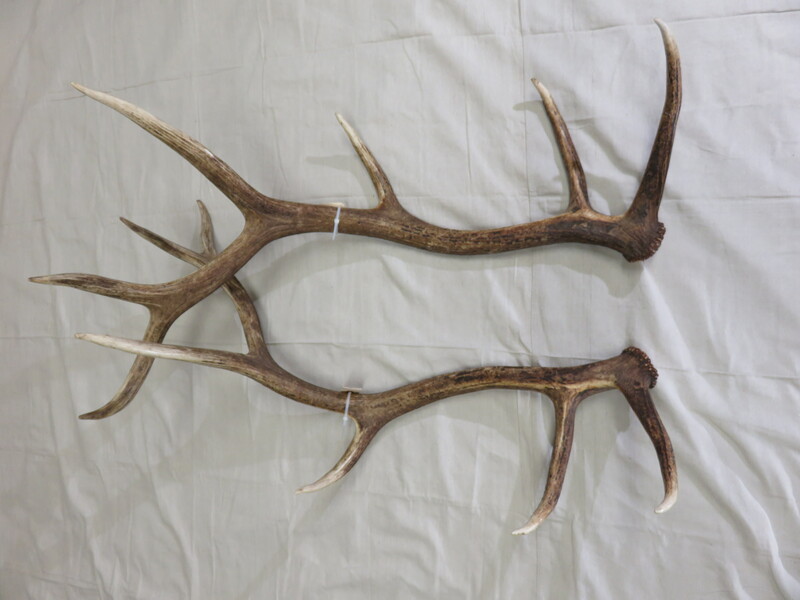 A very nicely matched set! 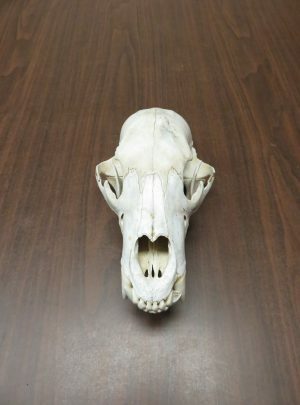 Each beam measures a little more than 45″ (inches”) in length. 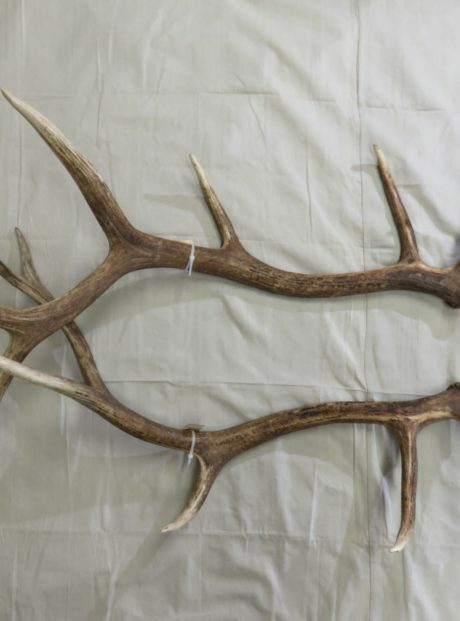 Total weight of antlers is just over 12.5 pounds. 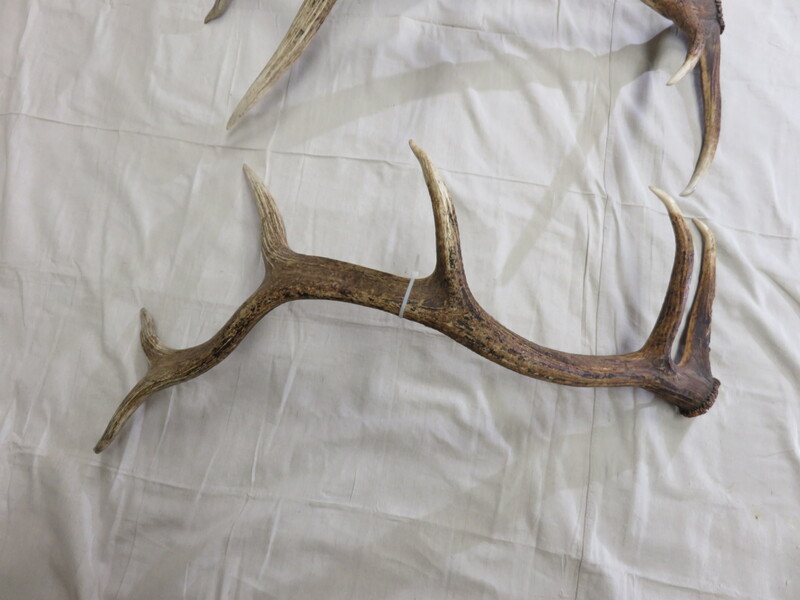 Good antler mass with average length tines. 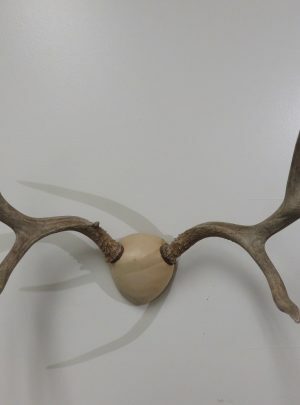 Each antler has 6 points.